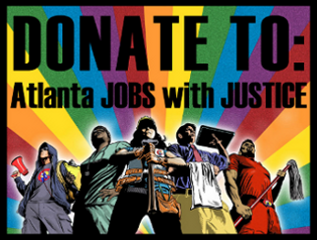 Join Atlanta Jobs with Justice and farmworkers with the Coalition of Immokalee Workers (CIW) for the culmination of the two-week Publix Truth Tour throughout the Southeast US! Add your voice to the growing chorus urging Publix to join the Fair Food Program and help ensure the dignity of farmworkers in their supply chain. Background: After two decades of worker-led struggle through the Campaign for Fair Food, eleven major food retailers — including McDonalds, Burger King and Whole Foods — have joined the Fair Food Program (FFP), agreeing to purchase exclusively from tomato farms that comply with a stringent, worker-designed code of conduct. In addition, participating retailers have paid out over $10 million in penny-per-pound premiums, constituting the first wage increase for farmworkers in over 30 years. For four years, Publix has staunchly refused to join the FFP. Meanwhile, groundbreaking changes have begun to take root in the fields. For the first time ever, farmworkers on participating farms are guaranteed access to shade and water, women are fighting back against sexual harassment and abuse, and farmworkers and growers together are eliminating the scourge of forced labor. Rather than join this rising tide of justice, Publix continues to spread falsehoods about the Fair Food Program, providing an alternative market for abusive growers and anchoring the resistance of the national supermarket industry. As Publix expands throughout the Southeast, add your voice to the call for the supermarket giant to expand its commitment to human rights! To read more, visit the CIW Website. Atlanta Fast Food Strikes Play-by-Play.